The news and reviews just keep showing up. 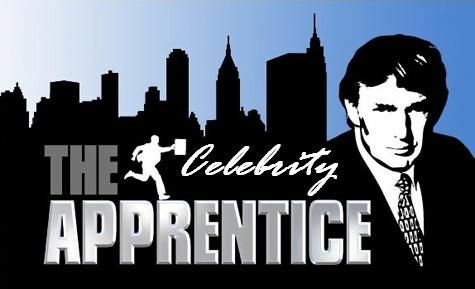 It is amazing how much attention the show, Celebrity Apprentice along with Clay Aiken receive each week. This article is the 4th one here in 24 hours. But…in this blog, there are links to a couple of my favorite weekly reviews. So…we are back to quoting some of the Clay mentions or other fun mentions and the link. Again, I encourage you to leave a comment if you can. It is always difficult when you don’t get feedback. The comments really encourage the site and writer to continue to write positive things. This is always a fun review to read and I always enjoy the Power Rankings. … Despite Clay having a little trouble reigning in Penn’s over-pitching, team Forte seemed to do extremely well, putting together a photograph with Dayana and the cologne that also incorporated Trump’s tie line at Macy’s. … Unanimous came ahead with the win, despite having the fugliest cologne display ever created. #1) Clay Aiken (34): Celebrity Apprentice was a little frustrating to watch this week as Clay had a little trouble pulling weight as project manager. Even more troubling was his presentation, which seemed as if Clay had put little to no thought into. Still, Clay’s consensus management is far better than Aubrey’s dictatorship and as a creative force, hard worker, and mostly clear of any freak-outs, Clay is still the contestant to beat. … Aubrey O’Day wasted little time in trashing her teammates behind their backs. She’s not only full of herself and narcissistic, but she’s egomaniacal. … Aside from that, their (Unanimous) display was terrible and looked like it was thrown together by middle school students. … The team came up with a great concept for their display, centered around Dayana’s beauty. They took a gorgeous photo of her holding the cologne. The problem was, the signature slogan wasn’t prominently displayed. Overall, their display was 10 times better than Aubrey’s hot mess. 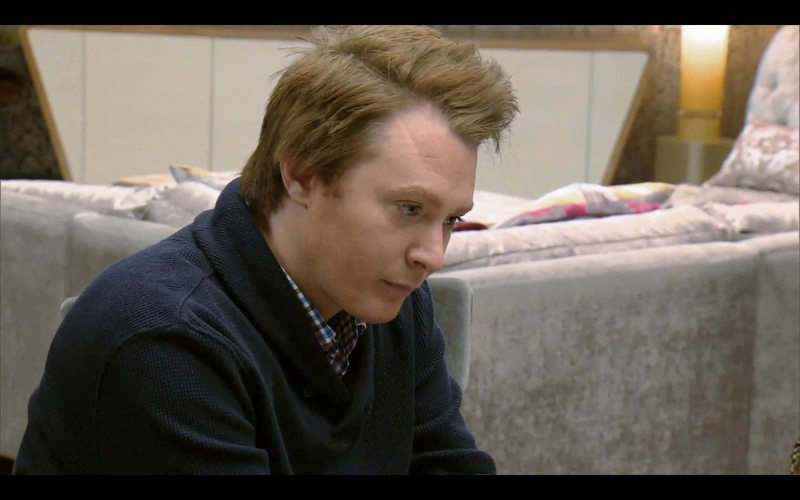 … Last night’s “Celebrity Apprentice” was really too close for comfort for Clay Aiken fans. The Raleigh recording star came unbelievably close to being fired by Donald Trump after Clay’s team lost the night’s challenge. I personally thought Clay was a goner. … For what it’s worth, the display Clay’s team made looked a lot more professional than the one Aubrey designed. Aubrey’s design, it has been decided at the News & Observer office, looked like a 4-H crop science display at the N.C. State Fair. My apologies to 4-Hers across this great state. … I really thought Clay was getting fired (and the fact that Clay didn’t live-tweet the episode, as he usually does, also fueled online speculation that his time might have been up). It really could have gone either way between Penn and Clay: Penn came up with the hated slogan, but Clay approved it. After watching Dancing With The Stars Monday Night, I just had to post the following. I know it has nothing to do with Celebrity Apprentice…but…it is Classic Clay!! Thanks for all the links…it is so nice to be able to go one place and get all the info. Also…loved the blast from the past. I thought of Clay when I watched DWTS too!! Loved the pic and video!!!! These are from back before I even knew there was a young man named Clay Aiken. Thank you so much for bringing these here for us to enjoy! LOVE them!!! glad Mr.T. generously spread the money around. I'm not sorry Penn went home! He exited very nicely. Thanks for the videos – a great rememberance of a wonderful time! Clay needs to sing on DWTS. Phew! What a great concert that was! Haven't seen that version… the man CAN dance dammit! I never attended one live, sniff, but they always seemed so electric! Especially the Motown segments. GO CLAY on CaP!! Great read today Musicfan, as always…. I loved watching the video from the JBT05 as well…That was such a great tour….it just makes you happy!!!!!! I posted it on my facebook for today!!! and tweeted!!! Error: Error validating access token: Session has expired on Tuesday, 21-Aug-18 16:13:01 PDT. The current time is Monday, 22-Apr-19 07:00:41 PDT.